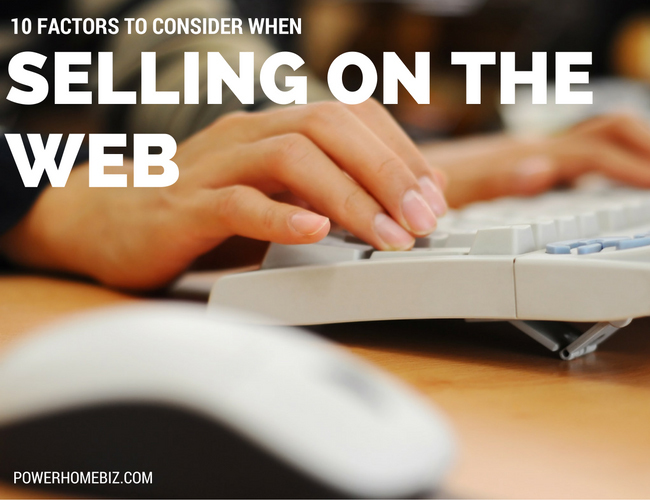 Selling on the Web is not as simple as you may think. Learn the various elements that you need to implement a successful e-commerce strategy. 1. Make sure you have a market. 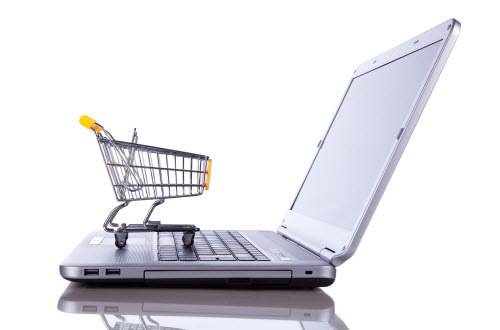 Who is going to buy your products online? The best place to start is your current customer base. Will going online make life easier for them? Are you going to save them time and money by allowing them to purchase online? You probably have a basic web site already; are you getting requests for online buying from potential customers? It is never truly possible to judge in advance whether a market exists, but there should be at least some indication of a demand for an online presence. 2. Use a clicks-and-mortar strategy if possible. The clicks-and-mortar approach is the most effective and economic. This combines offline resources, such as store brands, channels with an online e-commerce presence. The other option – a pure play dot-com – is now rare. Consumers are looking for brands that they know and trust. They also like the fact that a business has a physical presence, a place where they can go if something goes wrong. Pure play dot-coms found that they had to spend a lot of money on marketing just to maintain awareness. 3. Integrate the shopping experience. Consumers look to the web primarily for information; they may use the web site initially to find out about the product, then buy by phone or in person. However, repeat purchasers more familiar with the web are more likely to buy online. They will be able to do this more easily if their personal details and purchase history can be stored for subsequent purchases. 4. Plan how you will deal with content, pricing, stock management, fulfillment, support, payment, returns, support and security. Content: This must be updated frequently. Pricing: If you are selling direct for the first time, you may have problems with your distributors and retailers, who will not want you to underprice them. If you are selling brands by other manufacturers, there may be problems involved in selling in foreign marketplaces. Are you going to offer prices in a range of currencies? If so, which? Stock Management: Are you going to use the same stock base to sell online and through your physical distribution channels? If so, you need an integrated stock management system. Fulfillment: Precise information on order status is essential. Each order should have a tracking number so that the customer can get information on the status of the order right up to the point of delivery. If you haven’t sold by mail order before, you will have to plan for packaging and fulfillment. This can be a major cost, and needs careful management. If, for cost or other reasons, you decide not to fulfill to certain countries, you must make that very clear on the web site. Payment: How will people pay? What credit cards will you accept? How will you manage fraud? Returns: What is your return policy? Studies indicate that returns can be a major cost for e-commerce. Support: How will you support the products you sell online? You must plan for a support section on your web site to answer basic questions from customers. Will you also offer telephone and e-mail support? Security: Security will be a central issue in an e-commerce strategy. Fraud and hacking of computer systems are ever-growing problems. 5. Develop an easy-to-use purchase process. If you want to sell seriously to foreign marketplaces, you will have to localize the web site. Studies indicate that, without localization, sales will be minimal. More worryingly, returns are very high because of misunderstanding by people who are purchasing in a foreign language. 7. Consider customer relationship management and personalization. The Internet offers many opportunities for a better understanding of customer’s behavior and for developing a closer relationship with them. Customer relationship management and personalization systems allow for the collection and application of comprehensive information to create a more customized environment for the consumer. While the potential for such systems is substantial, they are complex and difficult to implement, and, if not professionally managed, can lead to the abuse of consumer privacy. 8. Make sure that you buy the right software. There is no need to do all the work internally, as there is now a wide range of quality software for e-commerce. 9. Make sure you have a team in place. An e-commerce web site needs day-to-day maintenance. Technical problems must be fixed, new content must be published and old content removed, and the web site must be constantly marketed. 10. If you don’t market, they won’t come. Opening up an e-commerce web site is rather like setting up shop at the North Pole: nobody knows you are there. It is not enough just to register with search engines; you will need an aggressive marketing campaign to make your target market aware of what you have to offer. The ideal situation is a seamless integration with marketing strategy of the offline business.